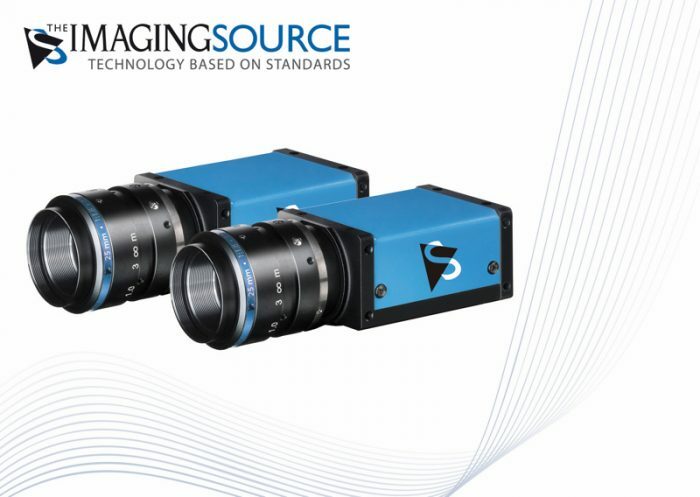 The Imaging Source, an international manufacturer of machine vision cameras and software for industrial imaging, has announced the immediate availability of new 9 and 12 MP industrial cameras featuring the USB 3.1 Gen. 1 interface standard. The Imaging Source “38 series” industrial cameras are equipped with highly-sensitive, low-noise Sony Pregius global-shutter sensors which offer exceptional image quality and color fidelity. The cameras support the USB3 Vision standard which ensures stability and compatibility for easy integration and flexible configuration. Available in 9 and 12-megapixel formats (color and monochrome), the cameras feature a compact and robust industrial design and C-mount and are well suited for applications such as intelligent traffic systems (ITS), automated optical inspection (AOI) and microscopy. As additional features, a free 1- and 2D barcode SDK, as well as software for on-screen measurement and image acquisition, are also included. End-user applications, an SDK consisting of .NET and ActiveX components and a C++ class library for W7/8/10, Vista and XP, and drivers for third-party software are included with the cameras. In addition to this, powerful automatic modes ensure optimal image quality even under varying lighting conditions. The cameras are shipped with: Driver for Windows XP, Vista, W7/8/10, and the SDK IC Imaging Control 3.2 (.NET and C++ library) and IC Capture. IC Capture is a powerful end-user software to set all camera parameters and to display and save single images and image sequences. For more information, please visit http://www.theimagingsource.com.